In 2010, I was approached by Shannon Spanhake to program a simulation for her mobile pollution monitors for her TEDxSanDiego Presentation. The simulation showcased mobile pollutions monitors traveling throughout the San Diego area gathering pollution information as they travel. The simulation helped present the significant cost reduction between current pollution monitor and Shannon Spanhake's mobile solution. RSNA Healthy Imagination is an interactive multi-touch application that allows you to take an in depth look at the relationship between health risk factors and common conditions by country. 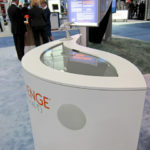 The application was built for multi-touch interaction and to be shown at RSNA 2010. 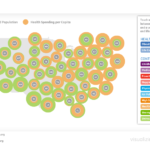 GE's Visualizing Health is an interactive multi-touch application that allows you to take an in depth look at the relationship between health risk factors and common conditions by state. 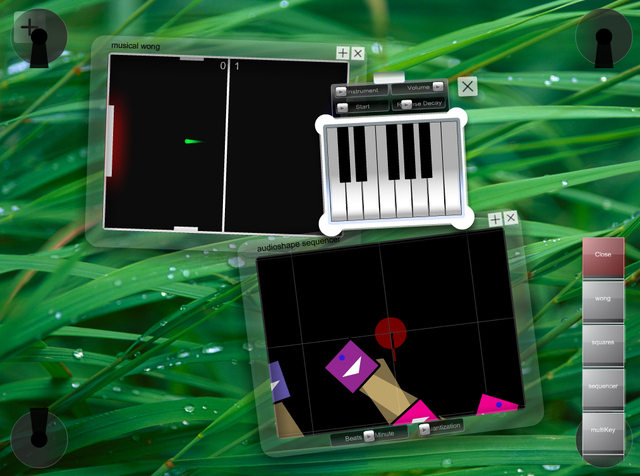 The application was built for multi-touch interaction and adapted for use on the web. Visualizing Health debuted at TEDMED 2010. This project involved custom hand scanner and multi-touch displays. Users would enter their information on the display, place their hand and the resulting image scan would display on a large map geotagged with their location. My role involved programming the applications as well as the hand scanning computer vision elements. 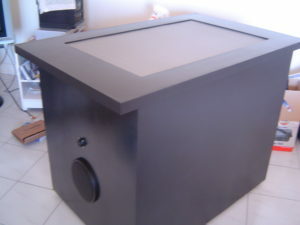 Conceptualized by Interference Inc./The Supertouch Group, the interactive mirror was a donation to 'Girl's Hope' home makeover featured on ABC's Extreme Home Makeover premiere episode in 2010. 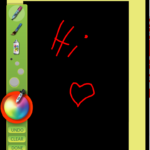 The mirror featured an Artboard, Puzzle Game, and Social News feed. 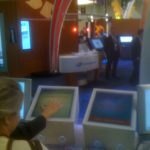 The Interactive Multi-touch Wave Table is a wave-shaped multi-touch table designed by Interference Inc./SuperTouch and showcased information about the pharmaceutical company. My role involved programming the application being utilized on the table. The Aéropostale interactive mirror was developed for Aéropostale's new kids line and placed in their pilot store in New York. The mirror consists of 3 applications that include a maze, drawing board, and mirror. Well, I never did a ‘proper’ video of my Audiotouch work, so after 2 years I decided to reshoot some video and experiment with my new HD video camera. The video is also in preparation for another how-to video that I’m developing that builds off the Mtmini video (check that out if you haven’t ) and shows how to create a simple multi-touch surface quick and easy. I’m hoping to eventually get back to these applications and improve on a few of them. They’ve gone untouched for almost 2 years and were originally written prior to the iphone, ipad, and microsoft surface. It’s amazing how far the technology has come in such a short time. 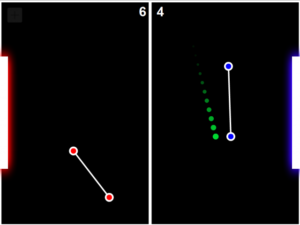 Wall Pong (WONG) – Interactive Multiplayer Multitouch Pong Game – Now with source code!!! Wall Pong is an interactive multi-player multitouch pong type game I wrote in AS3 a couple years ago. The aim is to get the ball into the opposing goal. You can see Wong within my Audiotouch OS software. I’ve been meaning to release the source code and game for quite some time and finally I had the chance to clean up the code (it still could use WAY more cleaning and probably re-factoring), but it’s in good enough shape for others to use.